Hello and good morning guys, welcome back to my site today. This day I want to share a lore and tips about Slark the thief from the deep sea. If you are a Dota player you must be familiar with this hero. His agility, his speed, his ability to survive make him become the only one that success to escape from the dark reef. However, do you know the story about Slark? Can you play this hero and carry your team well? Let’s talk about him more in my article today. Do you a Dota Player? If yes, maybe you know him. Slark the prisoner from the deep sea. He’s well known among the other hero because he’s so fishy and cunning in his every move. Slark is chosen and shining in every competition of professional Dota 2 player. This hero is so unique because he can easily slip away from the danger or any unfavorable situation. However, Slark gets his fishy attitude from his experience in the Dark Reef prison. 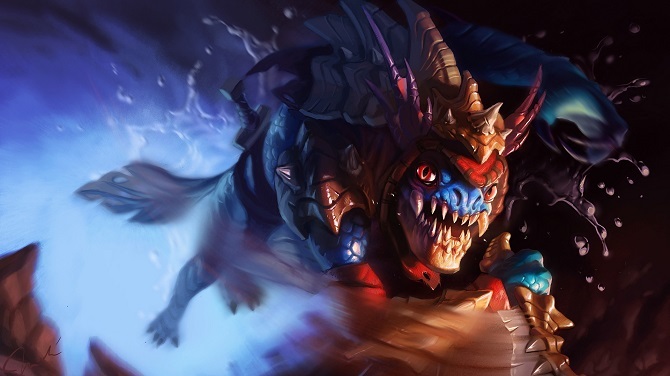 Are you curious enough to know Slark story in Dark Reef prison? Do you curious how can he slip away from Dark Reef prison? 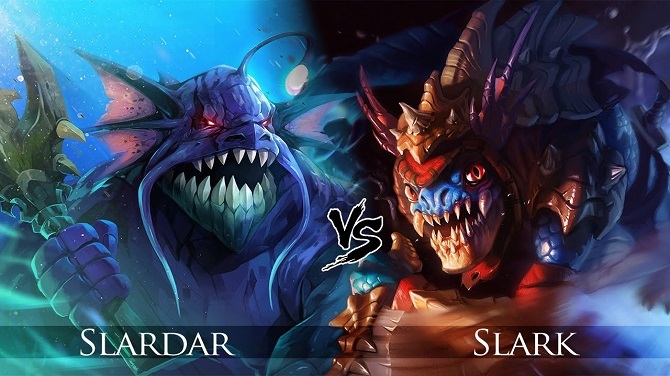 Check it out in Slark lore below. Trapped in a place where there is less known by dry world being, Dark Reef becomes the prison for the worst sea-breed criminals and traitors and even murderer sent to live his life. This place is a very worst place and the last place you want to drag in. This place is patrolled and guarded by tons of guardians which makes the escape mission seems impossible to be done. Unfortunately, know, Slark become one of their prisoner and now he is trapped inside without can doing anything. He spends most of his times learning on how to escape from this absolute prison. Until one day, an escape route and place that he thinks will be a total failure success. Even though he needs to sacrifice all of his 12 friends. Slark succeeds to fool the Guardian even the patroller. 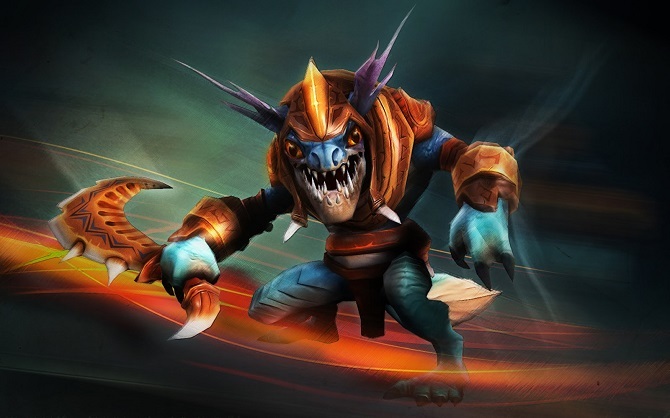 Now, Slark was also known as the only one prisoner that succeed to escape the Dark Reef prison! What do you think about the Story of Slark escape? Isn’t he very clever? He can escape from number 1 guarded prison in the seas and steal so many things on his way to escape. However, aside from his ability to trick the guard. Player ability becomes one from so many aspects we need to think about. The Item builds for this hero also according to the situation of the game itself. However, this is the most common Slark item build that used by professional Dota 2 players. Slark is a very squishy hero in the early game. Lucky for him Valve make this item. Poorman shield can increase his survivability. This item also grants him +6 bonus agility and damage block. This item is really important especially if we see professional players are often can slip away from danger because of the stats these boots offer to us. This is the most crucial item for Slark. Why? Because Slark is so squishy and easy to kill he need another escape route that can guarantee his life. Shadow blade become the answer to his weakness. You also can replace this item with another item such as Blink Dagger or Force staff maybe. Skull basher is a unique item that will help you to catch the enemy that try to run away from you. Aside from his bash passive ability Skull basher also offer you damage that helps you to kill enemy efficiently. Well after building that four crucial item. You also can add the other two according to the situation of your battlefield. Don’t forget to advance the Shadow Blade into Silver Edge and Skull Basher to Abyssal Blade. Both of this item will provide you with their nice stats and unique ability. You also can sell Poor man shield and replace it with another item if you go to a very late game situation. Well, I think my information about Slark the thief is enough for today. If you think my information is useful enough for you, please share this information with the other Dota players or your friends. Thanks for reading guys and see you next time. You should have hid when you saw me!